After weeks of promises and reversals, the Malaysian government, which practises an official policy of zero-tolerance towards refugees and foreigners without valid documents, has formally announced its decision to recognise the thousands of Rohingya Muslims in the country as political refugees. This decision has surprised many because of Malaysia’s poor record of treating immigrant workers, such as those from Indonesia and Bangladesh, who now number in the millions. Until recently, relations between the Malaysian government and the UN High Commission on Refugees (UNHCR) officials have not been good because of the former’s refusal to grant refugee-status to the Rohingya Muslims, despite evidence that hundreds of thousands of them were expelled by the Burmese junta to filthy camps on the Bangladeshi borders. Usually the Rohingyas’ plight attracts little attention in the international media. 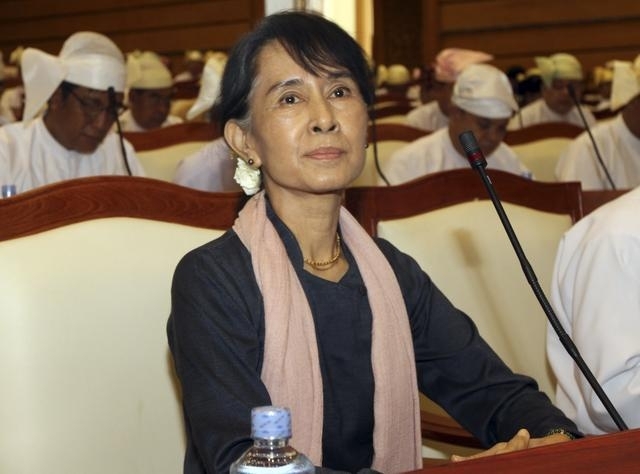 Although Western regimes have given attention and support to the democratic movement led by Aung San Suu Kyi, the Burmese regime’s deplorable treatment of its Muslim citizens has been of little or no concern to anyone. In Malaysia, without pieces of paper such as a work-permit or valid passport, any foreigner who is not of Western origin is almost always automatically considered ‘illegal’ and subject not only to police harassment, but also denied basic human rights such as education for children. The problem is confounded by the lack of will of the governments of these ‘immigrants’, such as Bangladesh and Pakistan, whose citizens’ complaints of abuse by Malaysia’s authorities have largely fallen on deaf ears. Things are even worse for the Rohingya Muslims, because they have no government at all to turn to. 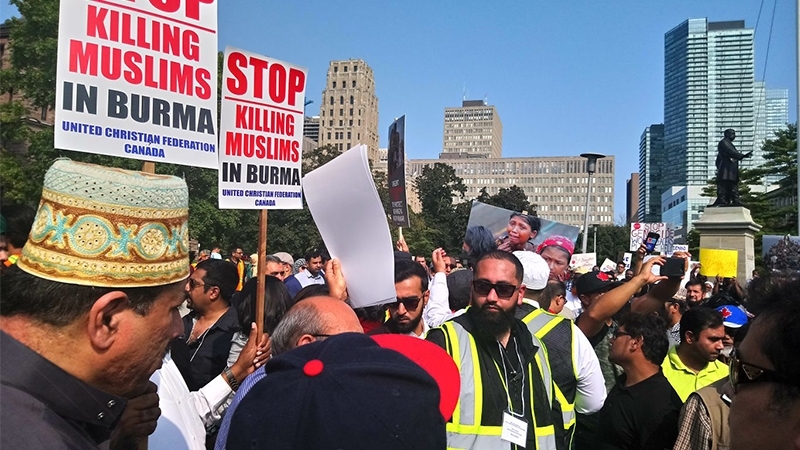 Their change in status is like moving from the frying-pan into the fire, however, under the illusion that a “Muslim government” such as Malaysia’s, whose rulers have been protesting the ‘plight of Muslims’ at many a world forum, will help them. (For previous reports on Malaysia’s treatment of refugees and immigrant, see Crescent reports, October 1-15, 1997, August 16-31, 2000, July 1-15, 2002, September 16-30, 2002, available in the online archives of muslimedia.com). Malaysia, like most Muslim countries, does not ratify the UN Convention on Refugees (1951). Tough immigration laws such as lashing and life at ‘transit camps’ (notorious for their ‘Abu Ghraib’-type guards), as well as corrupt police officers who have extreme powers to deal with ‘aliens’, have made Malaysia one of the worst places for any refugee to consider going to. Yet this has not stopped the Rohingyas from crossing the border through Thailand, which is an indication of how desperate their situation has become. Malaysia has become one of the favourite tourist destinations for Westerners and Arabs, as well as attracting millions of workers to work in fields shunned by locals. The Malaysian government’s attitude to foreigners reflects their colonised mentality and a lack of respect for human sensitivities. Operations to round up ‘illegals’ are touted in the government media as ridding the country of ‘aliens’, yet these are the same ‘aliens’ who have built the highways, bridges and skyscrapers upon which Malaysia prides itself. Media debate on the influx of these ‘aliens’ is becoming more and more intolerant in tone. Unable to cope with their influx because of its open-sea borders, as well as the huge demand for workers, the government recently announced an amnesty programme that ended on December 31, to encourage those without valid documents to go home. Warnings were broadcast almost daily about what might happen to those who were still in the country once the deadline expired. Sources close to the ruling party have said that some powerful Chinese politicians within the ruling coalition (led by UMNO) have been putting pressure on the government to take action against immigrants from Bangladesh and Indonesia. Their pressure has had to do with not only economic reasons but also demographic interests. Workers fromBangladesh and Indonesia are hardworking, enterprising and able to blend in with the Malays because of their being Muslim; thus they are likely to disturb the status quo, in which the Chinese are largely in control of many economic sectors, particularly in the construction and business fields. Recent attempts have been made by Chinese ministers to bring in thousands of students and workers from places like Nepal and China; one minister has even promised to lobby for the relaxation of visa-requirements for the 12,000 students from China who want to work in Malaysia. Needless to say, this privilege has not been suggested for students from other countries. The Rohingya Muslims are victims of this political pressure by Chinese politicians and their powerful business cronies close to the government. Several ministers have come out with conflicting statements in parliament on the decision to give Rohingyas ID cards. The fear is that if such a status is given, the social balance will one day tilt against the Chinese whose numbers are already declining because of changing social habits. The latest decision by the government has also to do with efforts by the UNHCR and several local NGOs that have been campaigning for Rohingyas and other political refugees to be recognised as refugees and not economic migrants. Most Rohingyas, who number 10,000 according to one estimate, live in squatter-colonies in and around cities. Many of their men try to make ends meet working as rubbish-collectors, cleaners and labourers, but many also are involved in crime. Burmese syndicates using women and children to beg in the streets are an open secret among Rohingyan migrant society. Many children, denied basic education, end up on the streets and beg in residential neighbourhoods and mosques; a large part of what they collect goes to the pockets of their syndicates. Unlike more enterprising migrant communities such as the Indonesians and Bangladeshis, the Rohingyas’ misery goes beyond political and economic causes to social factors as well. While the latest gesture by Kuala Lumpur is praiseworthy, questions remain of how the Rohingyas can use their new status to improve their lot. They are freed from constant police harassment and armed with the right to work, so local Muslims now have the responsibility as fellow brethren in faith to ensure their dignity as human beings – and as Muslims – is regained. Of course, this has to begin internally from the Rohingyas themselves, but years of living in limbo mean that many have grown up as beggars and know nothing else. 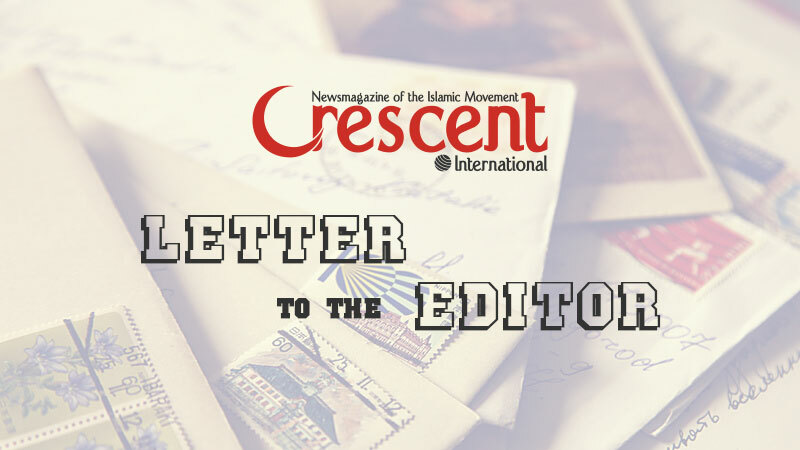 Muslim organisations, who not long ago flew in scores of Bosnian refugees from thousands of miles away, must show the Ansari spirit by helping fellow Muslims who are in hardship in their own backyard. The Malaysian government must give up its biases and use the Rohingyas’ manpower not only as an alternative to that of ‘illegal immigrants’, but also as a means to empower Muslims. Their empowerment and acceptance as part of the Muslim society can mean the strengthening of Muslims in Malaysia, who themselves resulted from decades of trans- and inter-continentalmigration and interracial marriages. Certainly granting refugee status to Rohingyas does not necessarily mean the Malaysian government has changed its ways when it comes to how it treats ‘immigrants’, ‘illegal’ or otherwise. It has still has to revise laws such as whipping and inhuman deportation camps. Malaysian leaders must change their outlook from the narrow nation-state perspective to a long-term view that will benefit Muslims economically and politically.